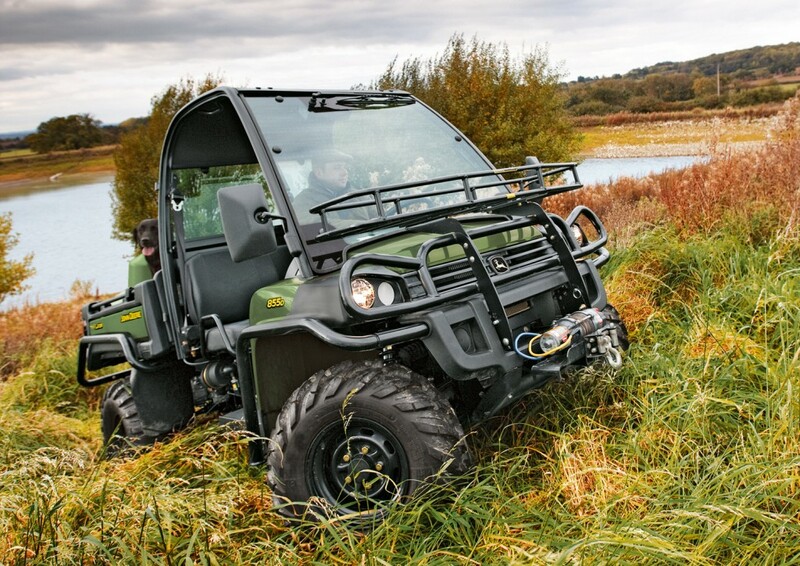 Providing even greater performance in a range of environments, John Deere’s popular XUV 855D Gator 4×4 utility vehicle is now available with power steering. This is designed to reduce steering effort considerably, compared to models without this feature. John Deere’s full Gator range, with the exception of the smallest CX model, is also available for the first time with PowerGard Protection. John Deere PowerGard is a straightforward solution to equipment servicing and repair work, designed to help Gator customers budget for the total cost of ownership. Thanks to the standard two year warranty and PowerGard Protection, it is possible to have up to four years of cover for the vehicle. The new factory installed, electric power-assisted steering (EPAS) system is standard on models with olive & black livery, and optional on green & yellow models. The system has an anti-kickback feature and speed sensing – the faster you travel, the more responsive the steering becomes, controlled by a torque sensor and an on-board computer. The steering design also reduces tyre wear on hard surfaces, and is more turf friendly. The 25hp XUV 855D Gator is the fastest and most powerful diesel utility vehicle in the John Deere line-up, with a top speed of 32mph (52kph). It features a true on-demand four-wheel drive traction system, activated by a dash-mounted electronic switch, and double A-arm front and rear suspension, which is adjustable at the rear. Ground clearance is 267mm (11in), total payload is 635kg and towing capacity is 680kg. 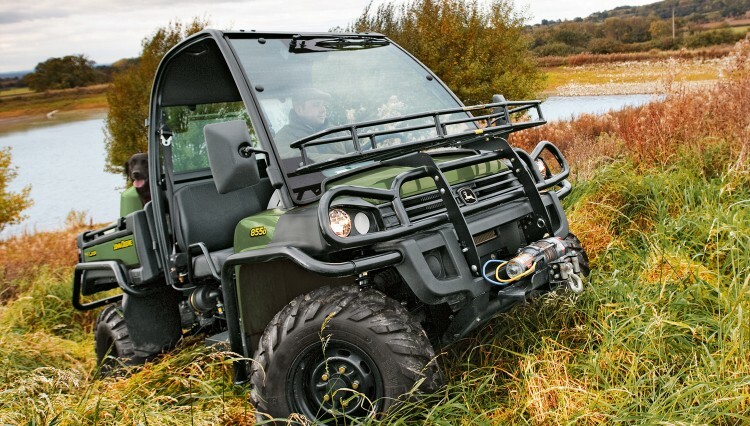 The Gator’s standard four post ROPS frame can be optionally upgraded to a deluxe full glass cab if required, and further options include tool carriers and cargo box dividers, a front mounted load rack, a bull bar and side extensions. Price of the 2013 model John Deere XUV 855D 4×4 Gator utility vehicle with olive & black livery and power steering as standard starts at £12,288 (€14,805 in Ireland) for the base machine with Terrahawk tyres (excluding VAT), while the green & yellow livery model with optional power steering is £100 (€120) less. 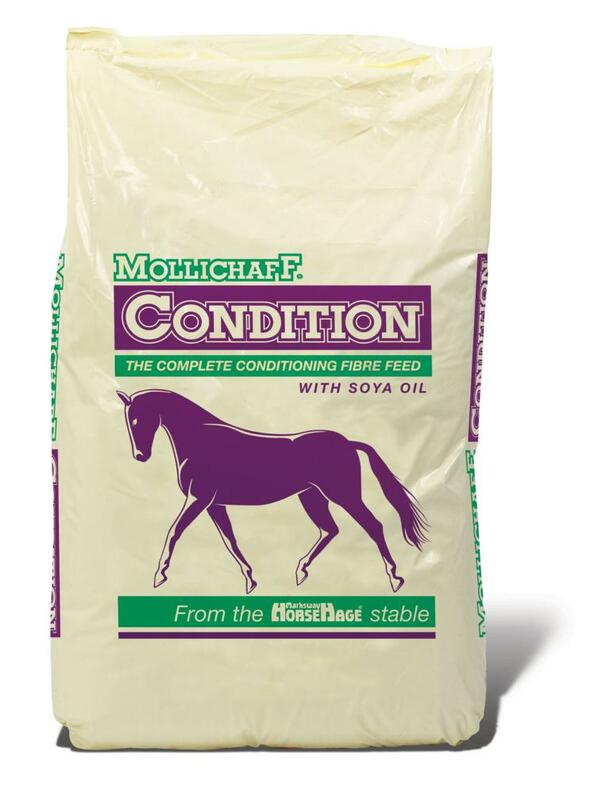 New Mollichaff Condition – A Complete Conditioning Feed in One Bag!